The latest edition of Ancient History is off to the printer. This time around, we're taking a look at Cleopatra's Egypt. 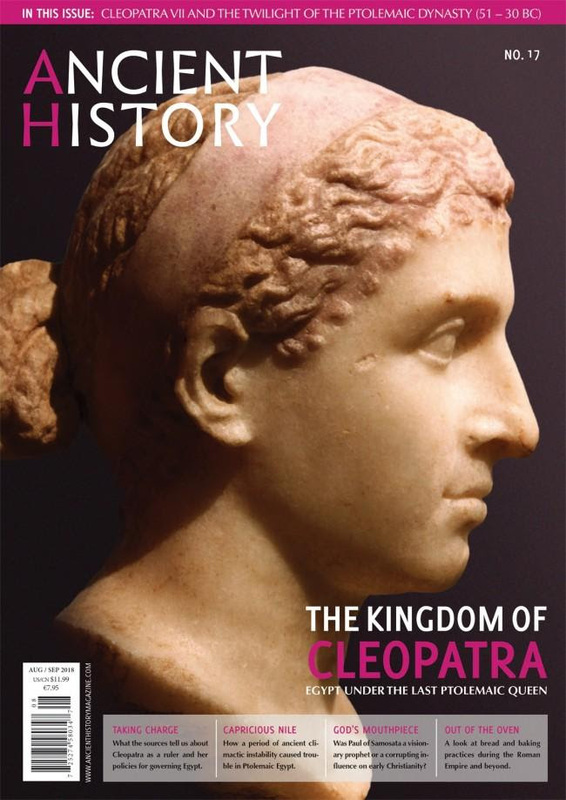 From what we actually know about this misunderstood queen, to issues facing the kingdom at the end of her rule, this issue is a great one for fans of Hellenistic Egypt. Often misunderstood by future generations, the last queen of Ptolemaic Egypt ruled over a land where the wealth and survival of both commoners and kings was tied to the yearly flooding of the Nile River.